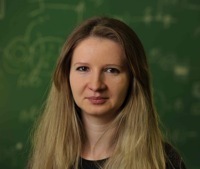 Sylwia Ptasinska, the Tom and Carolyn Marquez Assistant Professor of Physics, was recently selected to serve a three-year term on the editorial board of the European Physical Journal D: Atomic, Molecular, Optical and Plasma Physics. The European Physical Journal (EPJ) is a series of peer-reviewed journals indexed in all major citation databases, and covering the whole spectrum of pure and applied physics, including related interdisciplinary subjects. EPJ carries on the tradition begun by European physics publications in the twentieth century and aims to offer to the international scientific community a unified platform for the global dissemination of physics and related sciences. The editorial boards of the EPJ journals consist of distinguished scholars from around the globe who are committed to the highest standards of scientific quality. Originally published by Shelly Goethals at physics.nd.edu on January 26, 2015.